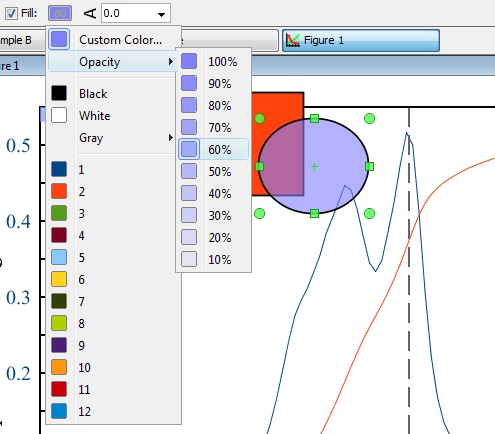 In MagicPlot you can set the opacity of each object (curve, text label, rectangle, etc.) to make it semi-transparent. Opacity is treated as a property of object color. You can set opacity in Opacity sub-menu in color pop-up menu which opens by clicking on color button. Opacity percentage is shown on colour button.